Smartphone accessory brand Incipio has launched added two new variants to its phone case lineup, designed for use with the newly-announced Google Pixel 2 and Google Pixel 2 XL. According to them "the smartphone world gave us one last hurrah as we approach the end of 2017, with Google announcing the latest upgrades to its Pixel lineup. However, no smartphone announcement would be complete without also taking a look at how you’ll protect your new devices." 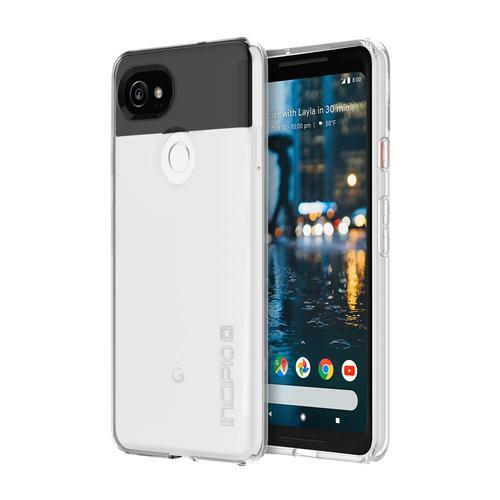 "That’s why Incipio, the industry leading designer of award winning mobile device accessories, has launched the latest editions to its DualPro and NGP ranges, perfect for Google’s new handset." Priced at $39.95, the DualPro is said to offer dual-layered, military grade protection combined with a premium soft-touch finish. Meanwhile the NGP Pure features clear and translucent material designed to empower the natural aesthetics of the new Pixel range while also providing everyday protection. It's priced at $24.95. Both will be available locally through JB Hi-Fi.